Life hurts more than death. 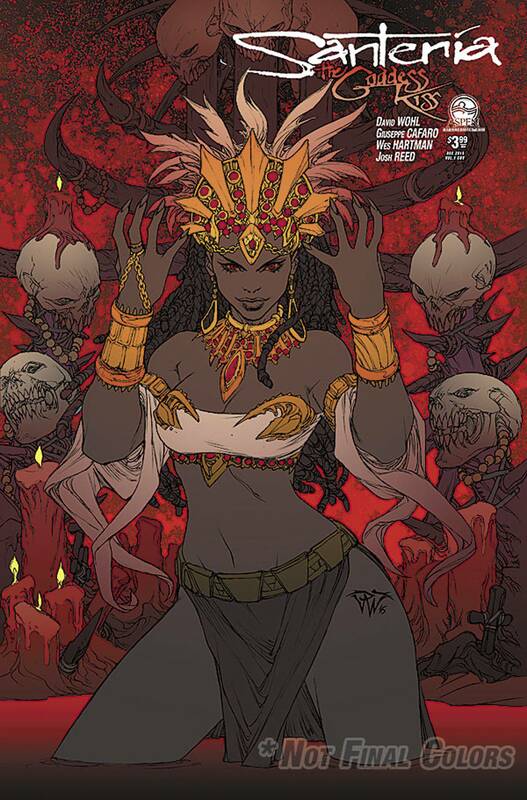 The first brand new Aspen series to debut in 2016, from the creator of Executive Assistant: Iris, Legend of the Shadow Clan and Witchblade, and the artist of Fathom: Kiani comes a new tale spanning centuries, deep within the heart of the ancient civilizations of Africa? Meanwhile in Spanish Harlem, Emergency Medical Techs Michael and Naomi are working the violent and unpredictable streets daily. However, nothing can prepare the duo as a routine Police shooting reveals something far more powerful-and dangerous-for Naomi's future!